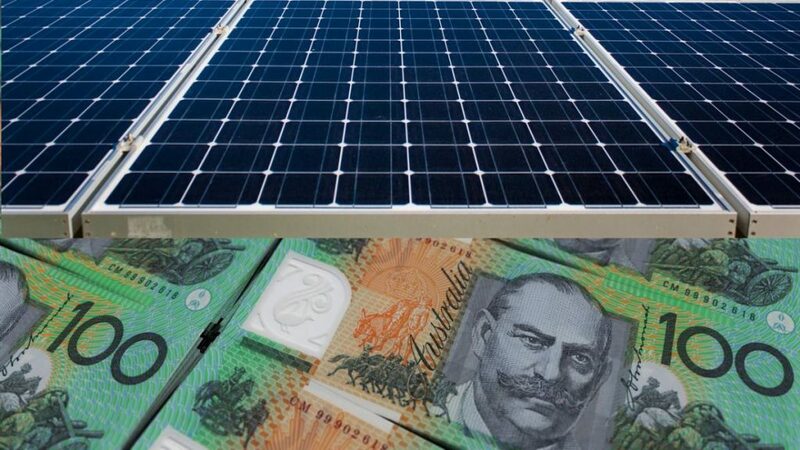 The Business Council of Australia’s plan for a stronger nation includes a call to scrap Australia’s hugely popular (and beneficial) major solar subsidy. subsidised rooftop solar power has helped rein in wholesale electricity prices. it has created thousands of jobs. avoiding health and environmental costs associated with fossil fuel based generation – particularly coal, which are substantial. helping battler families take control of their energy bills, many more of whom may not be able to if the subsidy is scrapped prematurely. Like the ACCC, this isn’t the first time the Business Council of Australia has called for an early end to the solar power subsidy, which will be fully phased out anyway by the end of 2030 under current settings. Both the Coalition and Labor have previously indicated they have no intentions of bringing the scheme to an early end. So, What Is The Council Backing? The Council’s Plan For A Stronger Australia can be downloaded here. The Business Council of Australia’s membership is made up of the CEOs of some of Australia’s biggest companies; firms that it says collectively employ a million workers. Among its members are AGL, Shell, Chevron, EnergyAustralia and Woodside. It’s cute how a bunch of giant international companies are trying to convince hundreds of thousands of small companies that the large companies are representing the small businesses interests …. Referring to the “growth matters” section, the report is claiming that the increase in economic growth flows through to Australian wages …. whereas, in reality, any profit is typically pocketed by the large international company because they’re busy petitioning the government to hire overseas workers. Further, any wage growth would be absorbed by increases to the CPI. The report asserts that increased taxes flow through to the government, however these same companies are busy petitioning for tax-cuts and subsidies at the other side of the table. The whole report is just phishing/brain-washing for stupid people to be swayed to the international corporations side. Reality is that development and disruptive technologies by Australian owned companies increase Australias income, when we export these technologies. These companies are the small businesses, not the International owned conglomerates. …. as long as fossil fuels lose their subsidies as well. All you do gooding, soft as a wobbly blancmange, mung bean eating, hemp wearing, save the whales, anti coal vegan lefties need a reality check. scrapping the subsidies is a great idea as it finally forces consumers to invest in solar for the right reasons: the purity of the financials. Even those Adelaide hills hippies who only shower weekly still want a financial return. Solar has survived even since the scrapping of PFIT, TFIT, 1-1 and others. Until solar removes financial inducements the bottom feeders will always be there and foolish consumers will continue to buy in price or because of external forces. Written as the sales manager of a decade old solar company. I am in the market for a new solar system (thanks for the help Solar Quotes) and the STCs are an important financial and environmental factor in my decision-making. Love to know which decade old solar company you speak for. Not sure I would want to use a company that describes its clients / potential clients as “do gooding, soft as a wobbly blancmange, mung bean eating, hemp wearing, save the whales, anti coal vegan lefties”. BTW, I only meet a couple of these “criteria” – slightly overweight but not wobbly, couldn’t tell you the last time I ate mung beans, don’t own any hemp clothing – but do seek to do good, would like to save the whales, am anti-coal and are probably on the left of the political spectrum. Governments all over the world have policies to encourage what are termed ‘infant industries’ for a specified period of time. The specific incentives vary by country, and can include such things as tax incentives, interest free loans, steadily reducing tariffs on imported overseas equivalents which terminate at the end of set time period, export incentives, research and development grants, tax concessions such as accelerated depreciation … all kinds of things depending on the circumstances in each particular country, the industry concerned and the aims of the Government concerned. In Australia, a similar kind of thing occurs in our various states and territories, even some local council provide incentives as well. eg.. my local council makes no secret of the fact that it aims to attract new industries and businesses with the aim of stimulating the local economy and has a range of incentives it will grant. STC’s are nothing more than another example of a progressively reducing, time limited incentive, that fits into the broad spectrum of incentives I described above. 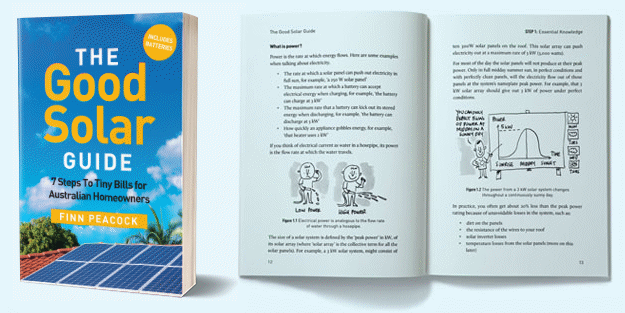 : the STC ‘credit’ against the purchase price of a solar system is a single one off rebate/subsidy, thats worth around $3600 at the moment to the purchaser of a 5 Kw inverter system, and will diminish to zero by the end of 2030.
: Over the roughly 30 year life of a Tier 1 system, the purchaser of a roof-top solar system is, in effect, ‘subsiding’ the power retailer via the surplus electricity the householder ‘sells’. And that subsidy is easily calculated. Its the difference between the FIT the solar system owner receives, and the Kwh price the retailer charges some other hapless consumer elsewhere in Australia when he purchases that same Kwh. I live in Queensland, and over a 1 year period I’d export on average about 7150 kwh a year. For someone buying the equivalent of my system today, they’d get a 15c FIT for their surplus kwh under the solar boost scheme , which the retailer on-sells at 26.62c, giving the retailer a ‘margin’ of 11.62 cents. That’s worth $830 a year, which means that the home-owner has fully repaid their ‘subsidy’ by the time 4.33 years have passed. So, from that point of time on, the energy retailer gets a ‘bonus’ $830 per annum or thereabouts for however long the system subsequently lasts, for a net capital outlay on his part of zero. (the STC credit comes originally from Government, not the retailer). For the more mathematically minded, what I’ve described is equivalent to a annuity, thats’ purchased for an initial lump sum payment of (in this case) of $3600 and entitles the purchaser to an annual income stream of $830. Over a 30 year period thats equivalent to a 23.01% return on the initial outlay There’s not much difference if you assume a 20 year period ( eg. the solar system gets scrapped at the end of 20 years ) – the rate of return is still 22.67%. Now, you can quibble with my numbers a bit, because for simplicity’s sake I didn’t factor in panel degradation. Although that is a factor, its not really that significant an issue for Tier 1 panels . If I lower the annual income stream by 10% to $747 instead of $830, (which reflects an annual degradation of 1% over a 20 year period), you still get a 20.23% return (instead of 22.67%). Looking at the Queensland housing market as a whole, the energy retailer probably does much better than that because Australians tend to resell their homes quite quickly. So any new incoming house owner who purchases a home with roof-top solar already installed only gets a standard 7 cent FIT tariff unless he switches to the solar boost plan. Thats worth a further $570 a year to the retailer for however long it takes the newbie home-owner to start looking at the detail of his electricity plan. So, as a roof-top PV solar system owner, I’m ‘subsiding’ other users to the tune of at least $830 a year and will be doing so for a rather long period of time. Or rather, I’m ‘subsidizing’ my electricity retailer, and I’ve got no idea at all to what extent thats reflected in the prices he charges. And the total amount of MY ‘subsidy’ to the retailer is going to add up to some $16,600 or so over the next 20 years, or even as much as $24,900 if my panels last 30 years. Those amounts are way ahead of the initial $3600 rebate I was given initially. So far as stopping the STC rebate immediately is concerned, it would probably end up doing far more damage than good. We’ve already got total confusion in our nation’s energy policies because of past sudden ill-considered changes, with little or no thought given to the long-term consequences. I gather then that the company you work for doesn’t cash in the STCs. Following your philosophy it would be unethical to claim them. “the purity of the financials” Most of us who have installed rooftop Solar are residential dwellers. We are the end of the chain in the consumer industry. We don’t need “purity of the bloody financials” we just need security of Supply (and a fair dollop of honesty and ethics), reasonable value for money but mostly a product that works as advertised without us having to continually chase up spivs, shonky suppliers and dodgy corporate practices using specious interpretations of their own rules or legislation they are supposed to be adhering to. Dennis, you are 100% spot on Sir. Value for money, a product that works, avoiding bottom feeders, spivs and shonks. That can only happen when the STCs disappear as those people only exist because consumers have been conditioned to cheap cheap cheap even though everyone who owns a house in this country is rich.The solar investment is a tiny % of a homes value. We all remember what happened with the insulation fiasco. It was PFIT that started the mass solar avalanche and those early adopters needed a financial inducement to take solar to where it needed to go. It got there years ago. TFIT has gone, 1-1 has gone but we are installing in record levels. It’s not because of STCs. It’s because it makes financial sense. Most consumers have no idea about the STCs as they are a POS discount. Consumers have no interest in gross prices. Dennis you are at the top of the food chain. You decide which solar retailer and electricity retailer you choose plus what you invest in. That’s power. Even hippies and greenies want a return on their money. They’re not that altruistic. When rebates incentives and FIT go then we will finally have a sustainable industry as it won’t be reliant on external factors. It’s like property investors thinikig they’re a genuis negative gearing. Smart people scoff at that stupidity. But the trouble being, no-one has thought about it since. And since then certain climatological events have occurred. Like longer and hotter Summers. Those houses so insulated have have a greater degree of comfort and lower power bills. The house I lived in in Perth was one such house, as were the houses of many friends & neighbours,. The “fiasco” was caused by shoddy and unscrupulous tradies. Mik, what I remember about the “insulation fiasco” was there was no fiasco. The deaths that occurred were not out of line for the industry for the amount of work that was done and safety standards were not altered to get the work done. It definitely can be argued that regulations should be strengthened to increase tradesperson safety, but the insulation scheme is not an example of poor or lowered safety standards. Anyone arguing that the scheme was bad would be arguing that paying tradespeople to do anything at all at the time was bad. Unfortunately, this sort of logical consistency is often lacking in politics and the Coalition misrepresented what occurred. And this is having a negative effect on policy today.